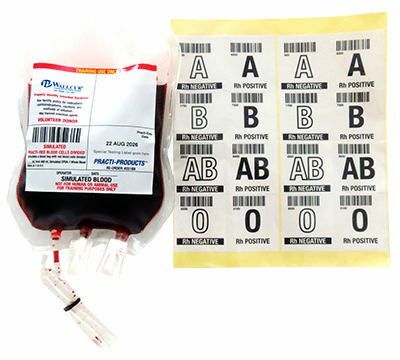 PRACTI-Blood Bag™ (all types) for clinical training. Simulates 450 mL blood bag of red blood cells. Train your students to properly read a blood bag including bar-codes, blood type, as well spiking the bag properly.